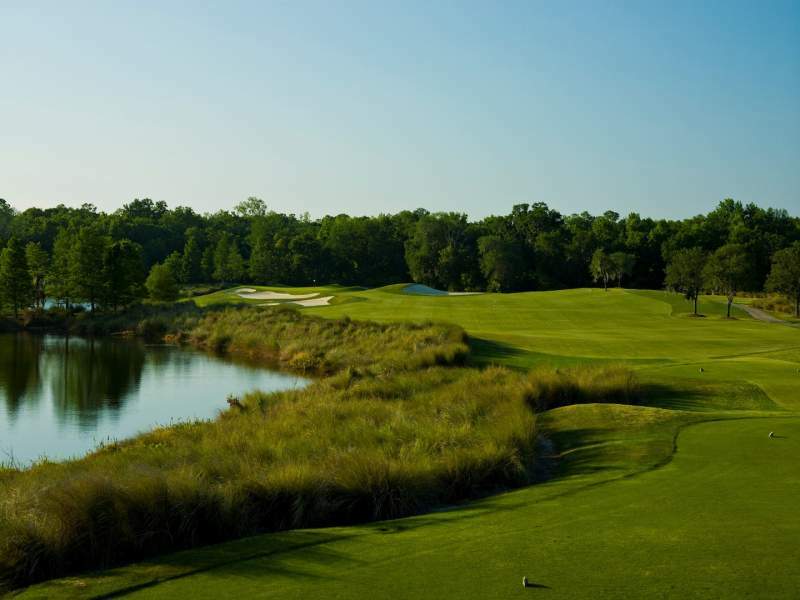 Named after golf legends "Slammin’ Sam" Snead and Gene "The Squire" Sarazen, this course was designed by Bobby Weed who consulted with the two legends to create this par 72 masterpiece. 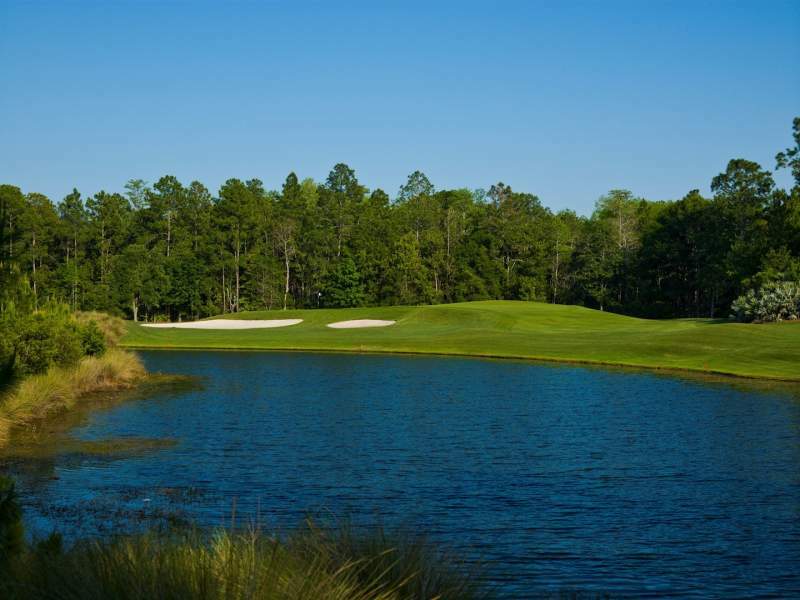 Built around wooded wetlands and indigenous wildlife, this course's beauty will take your breath away. 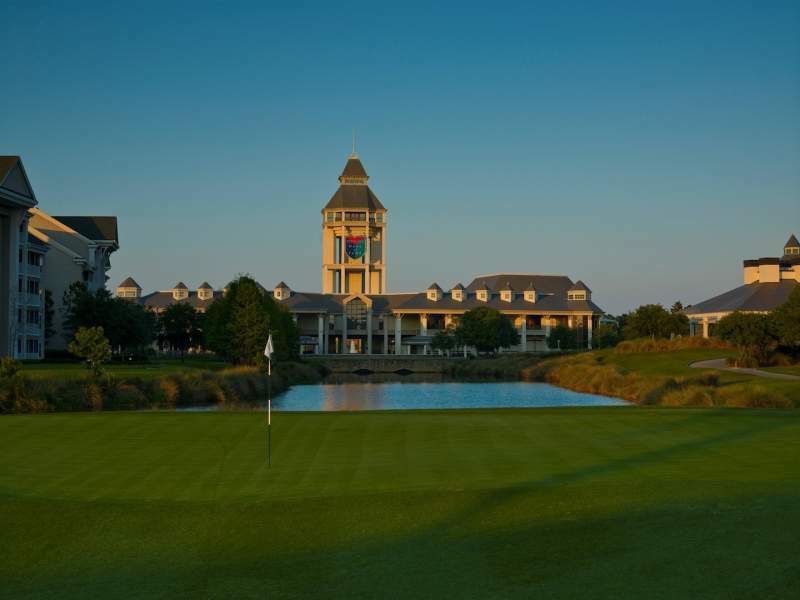 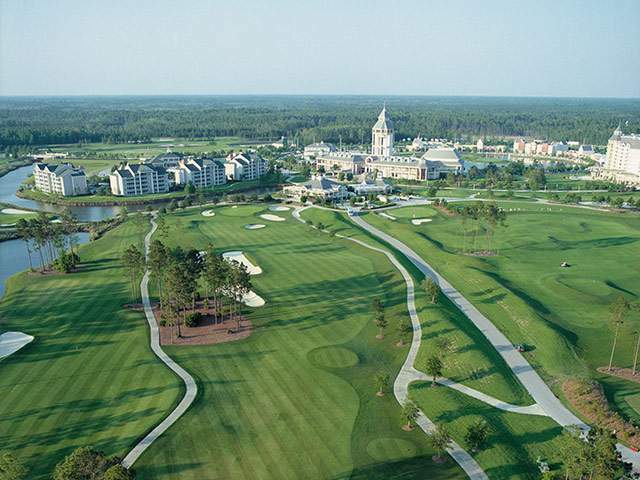 From its old pine forest and deep white sand bunkers on the front nine, to its views of the World Golf Village towers on the back, Slammer & Squire is truly a tribute to the game of golf. 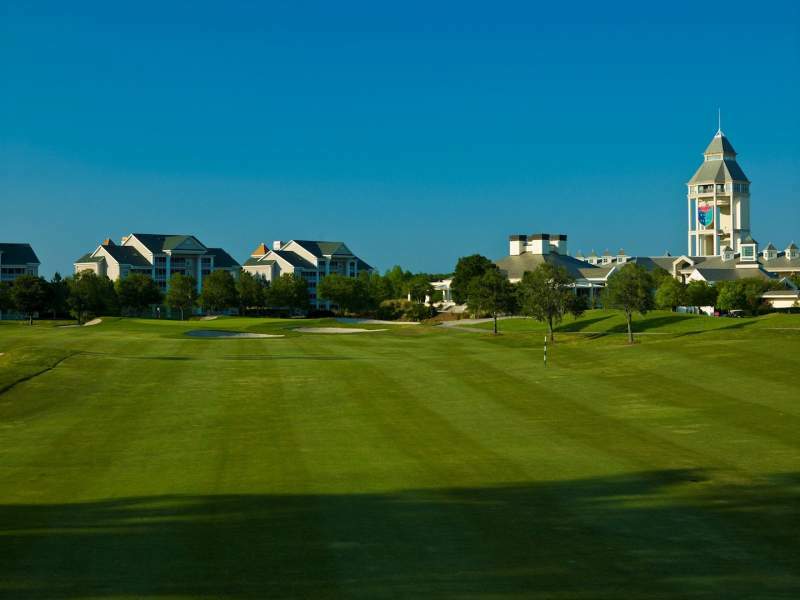 With its five sets of tee boxes, the 6,939 yard course can be played from a variety of lengths, creating a challenging round for the advanced golfer but also a playable course for the novice.